Need hundreds or thousands of cupcakes? The Cup can help! 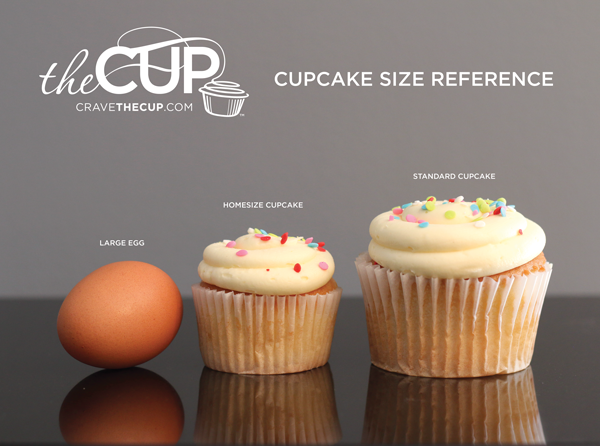 For corporate events, weddings and special events – The Cup’s cupcakes are the perfect treats for your guests. We would love to work with your company or organization to provide sweet treats for your clients, employees or special events. We can customize your cupcakes with colored sprinkles to reflect your organization’s theme or create a custom stamp to make fondant cupcake toppers to highlight your business name or logo. Custom stamps cost $25 and require a two week lead time. Please contact your local store to discuss options with one of our managers. Packaged in bakery cookie boxes. We are unable to provide individual cookie packaging at this time. Labeling: The Cup can apply client-provided stickers to bakery boxes. The Cup now offers delivery to most of the St. Louis city and county zip codes. Learn more about wedding services and tastings.